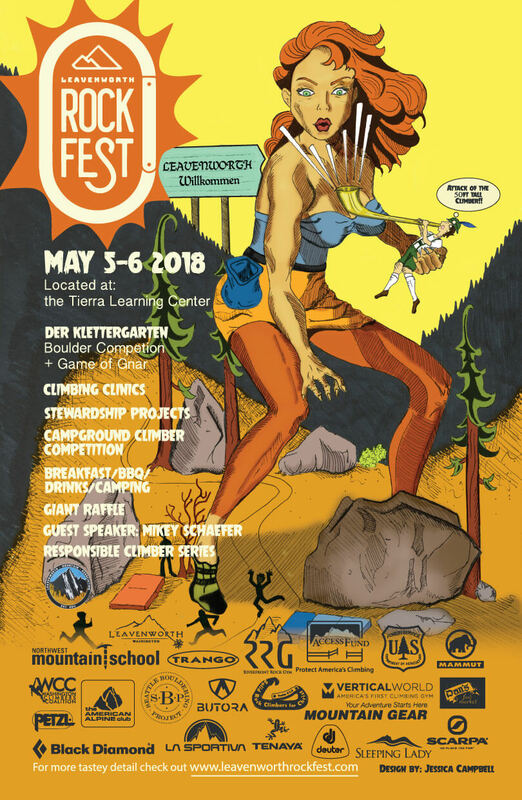 Leavenworth Rockfest is a grassroots rock climbing event, Rockfest has been Washington’s largest climbing festival for the past 18 years. Now it’s hosted by the Leavenworth Mountain Association as their largest fundraiser of the year and supported by several amazing people and companies, all of which have played an integral part in the success of past Rockfests as well as this year. The festival has several different elements aimed at educating and introducing climbing to everyone as well as encouraging seasoned climbers to push their limits in fun and competitive ways. The culmination of these elements is a festival for climbers and non-climbers alike!